We believe training is the most important aspect in achieving operational readiness. That is why we adopt trending technologies like Private Cloud Virtualization, Virtual Reality (VR) and Augmented Reality (AR) as effective training methods to enhance learning. Virtualization-on Premise (VOP) is a lifecycle training solution, which helps enterprises achieve operational readiness throughout the lifecycle of their process plants. Virtual reality (VR) fully immerses process operators in an artificial, computer-generated environment. 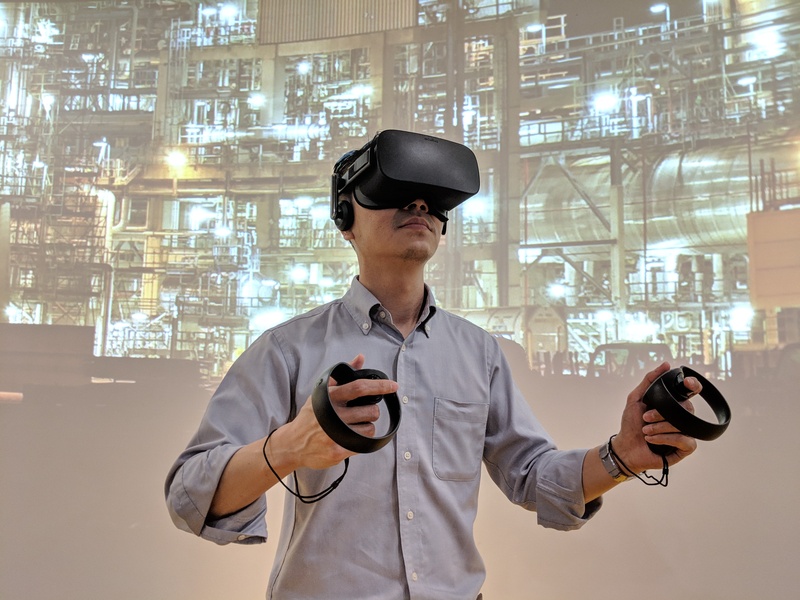 It simulates field-training experiences like compressor, furnace, turbine and air cooler operations primarily through visual, auditory and sensory feedback for an immersive experience. Augmented reality (AR) blends computer-generated digital components into the real-world environment, enabling process operators to be fully equipped with systematic instructions and reference documents. It provides a walkthrough experience of routine, non-routine and safety-oriented plant operations.